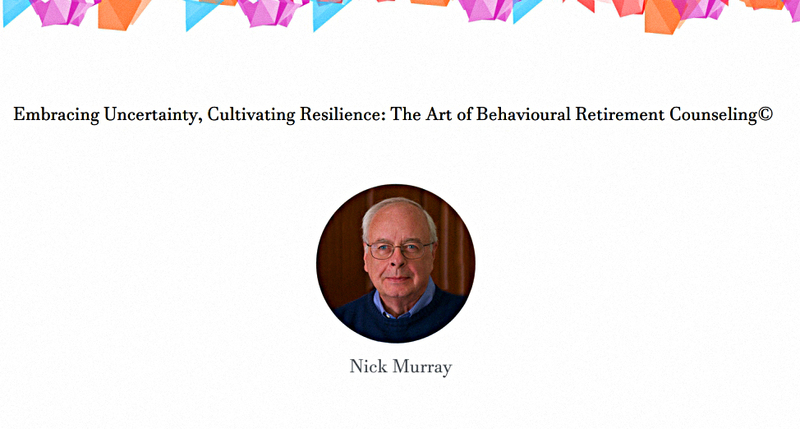 Today’s post is about the Science of Retirement Conference 2018, which was held in London recently. Decumulation is just as important to investors as accumulation. But because the asset managers and investment platforms haven’t yet worked out how to monetise it properly, you don’t see as much written about it. Although the conference was held in London, four of the six individual speakers were American. 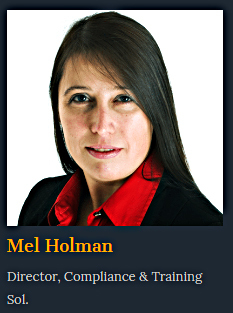 The Brits were largely confined to the panel discussions and kept away from “the science bit” – the hard data on how decumulation strategies can affect outcomes. The notable exception was Abraham Okusanya, who runs IFA FinalytiQ and who organised the conference, now in its fourth year. 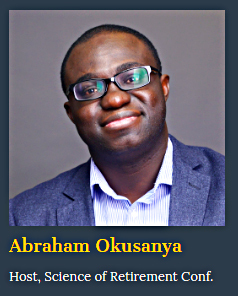 We’ve come across Abraham several times before, initially through his work on sequencing risk. We’ll come back to the first two later on, but let’s start with the book. 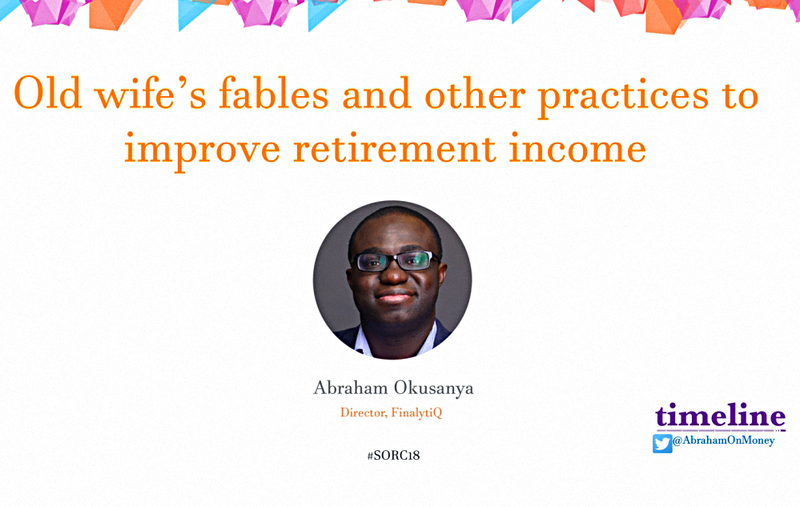 Abraham’s approach is driven by historic data, and his book examines all the possible tweaks you can make to a retirement strategy, showing their impact on your likelihood of success. 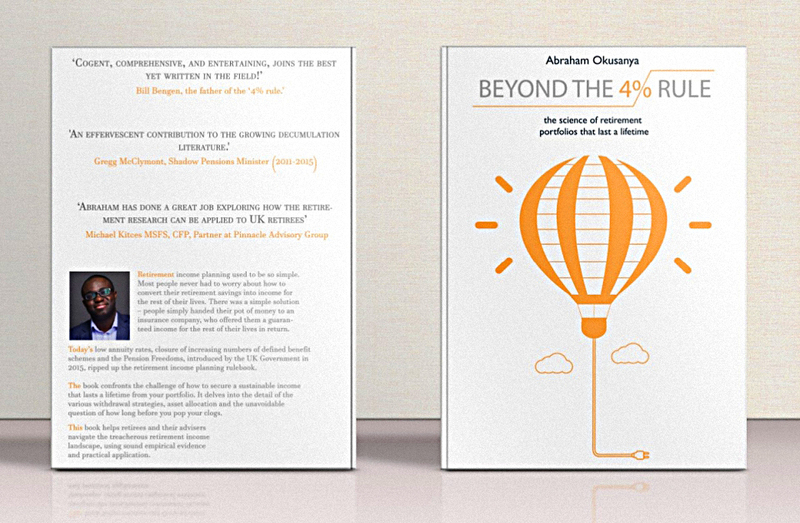 I haven’t read the book yet (it’s only been out for around a week) but luckily, Abraham gave a fantastic presentation on the key findings. 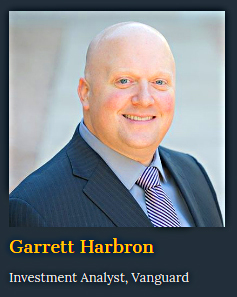 The first presentation was by Garrett Harbron, from Vanguard. Like most of the speakers, Garrett is American. 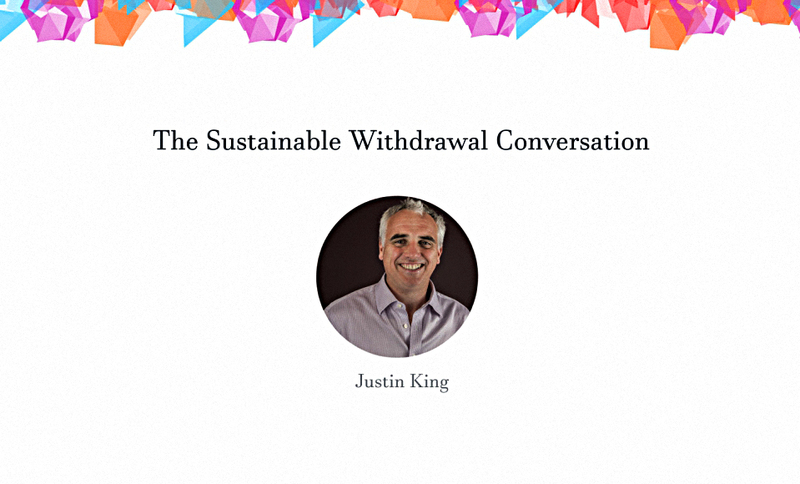 He spoke about flexible withdrawal rules in drawdown, and how they can improve your chances of success. It was a good presentation, and I will be writing a dedicated article about it in the near future. 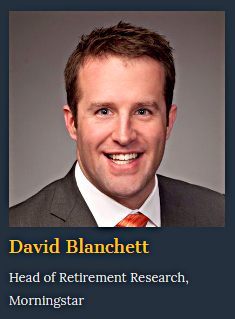 The second presentation was by David Blanchett of Morningstar (another American). I won’t spoil things by giving you the answer here, as this is another lecture that I plan to write up in its own dedicated article. The third session was billed as “The Sustainable Withdrawal Conversation”, but really it was an extended ad for Abraham’s Timeline App. The presenter was IFA Justin King (an Englishman at last), but as he walked us through a client case study, Abraham was on the other side of the platform working the laptop that was running the app. 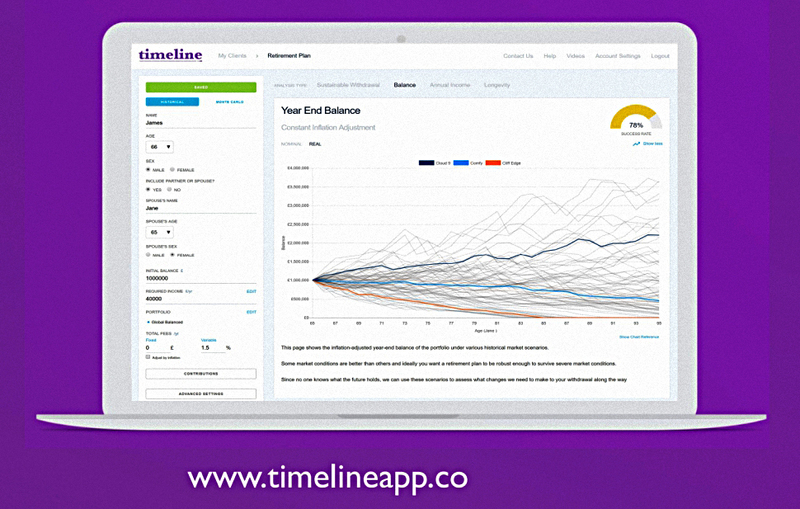 The app is basically a dataset of asset returns, inflation and mortality data over the last 90 years or so. 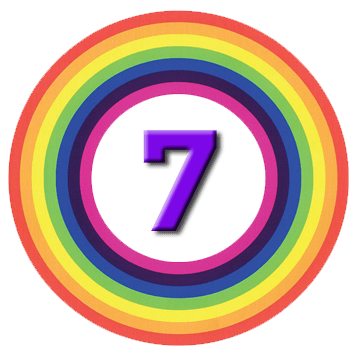 You can stress test asset allocations – using your own settings for fees and retirement periods – to work out the chances of success (however you define it). 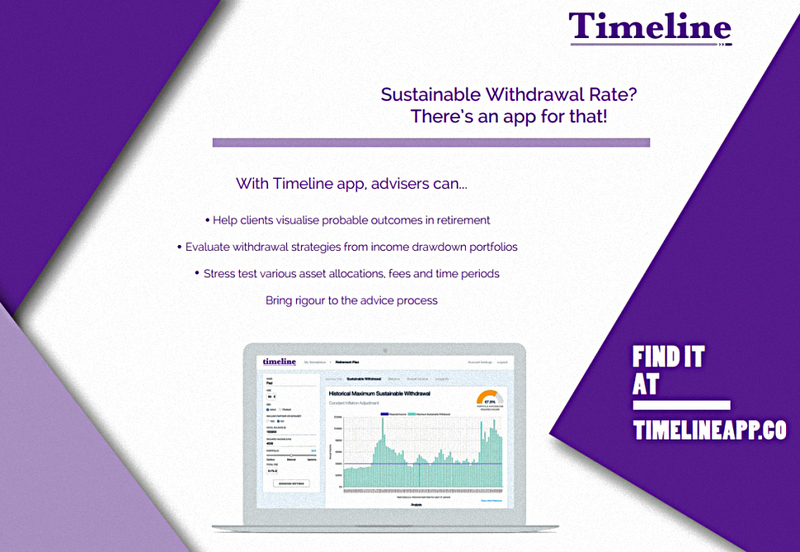 The goal is to bring rigour to the advice process and to help clients visualise how their retirement drawdown process is likely to proceed. It looks like a very nice tool, but it’s too expensive for the private investor. Abraham sells this as a conversation piece for IFA sessions with clients. I can totally see how this would work as a three-foot wide wall-hanging, but there’s a lot to take in as a small chart online. Luckily, Abraham broke it down for us. 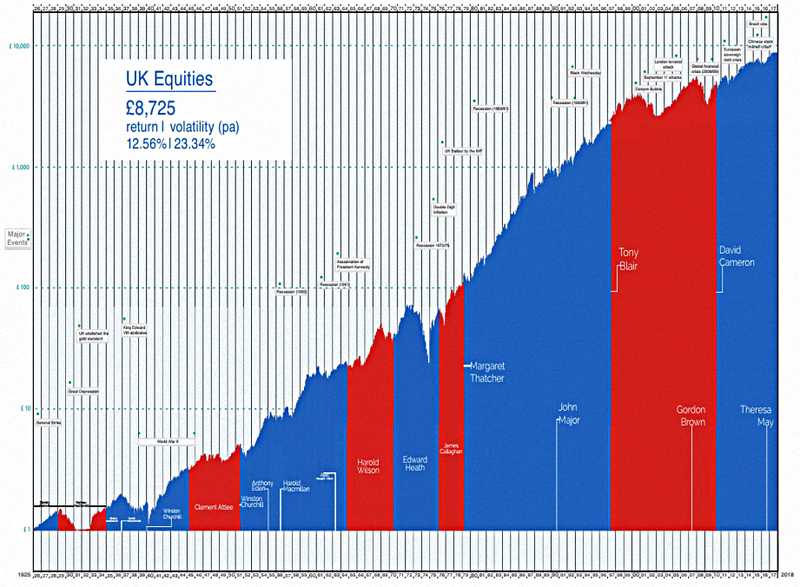 At the bottom are the UK’s bull and bear markets (in stocks). 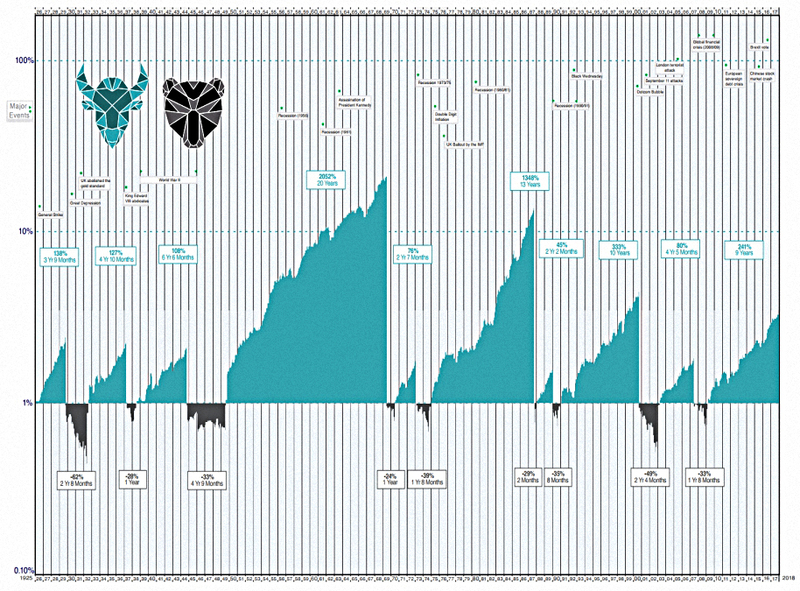 It’s quite a reassuring chart – bears are infrequent and short. 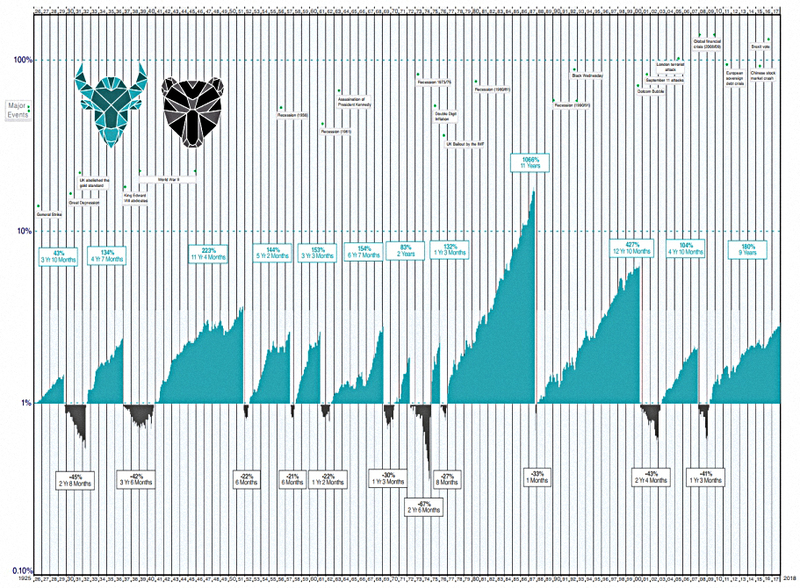 Abraham also supplied the equivalent chart for global equities. The next band up shows the relatively smooth long-term returns from UK stocks, regardless of which political party is in power. Note: this trend is not guaranteed to survive a Corbyn administration. 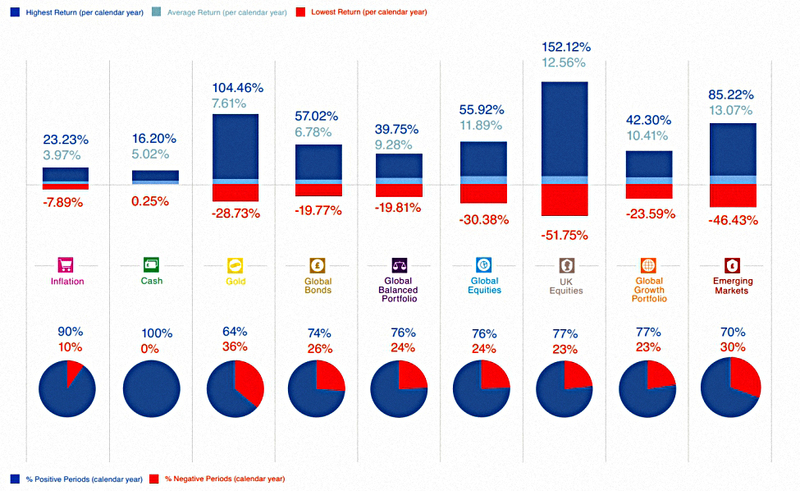 The band above that shows returns by asset class. As you would expect, equities are the winners. 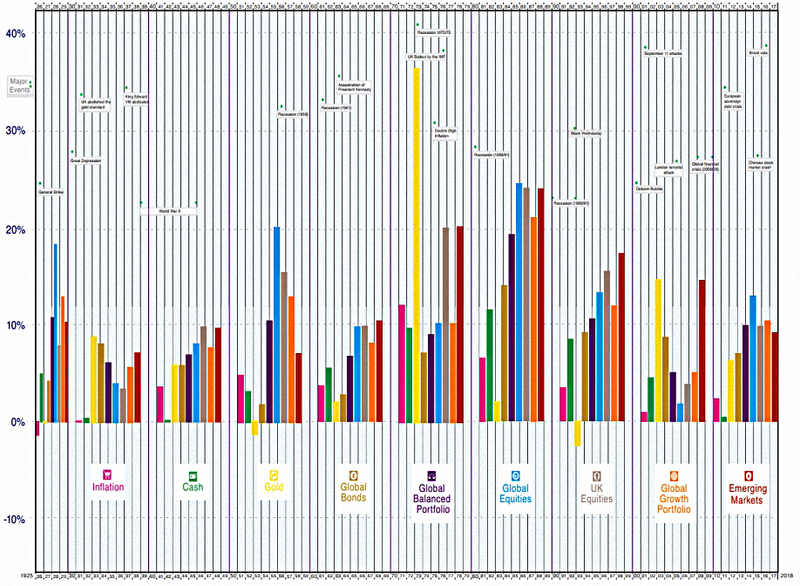 The chart above that band shows periods of positive and negative return (broken down by calendar year) for each asset class. 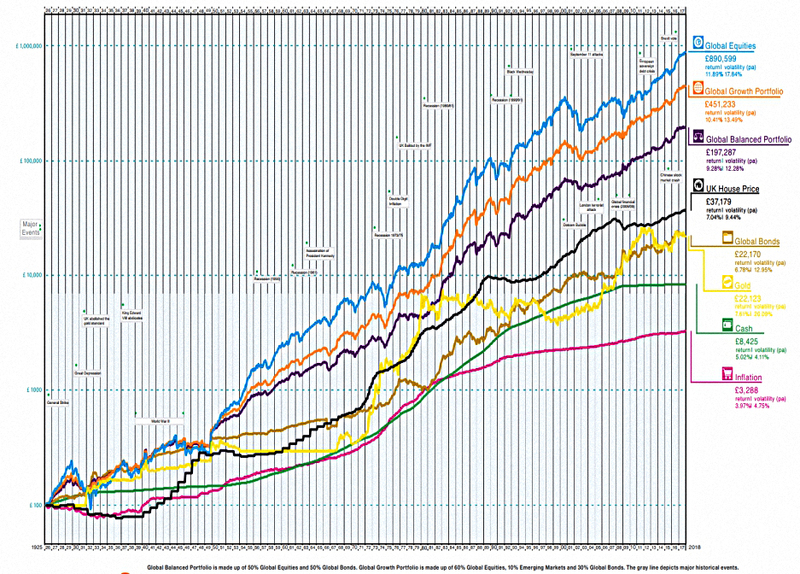 The top band on the chart shows returns by asset class for each decade. 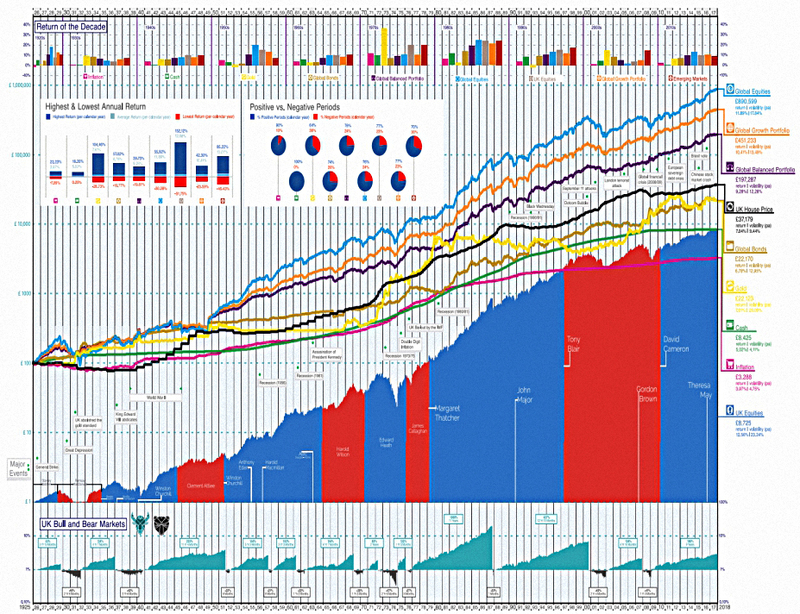 Put all that together, and you have a pretty persuasive case for investing, and for using equities in particular. 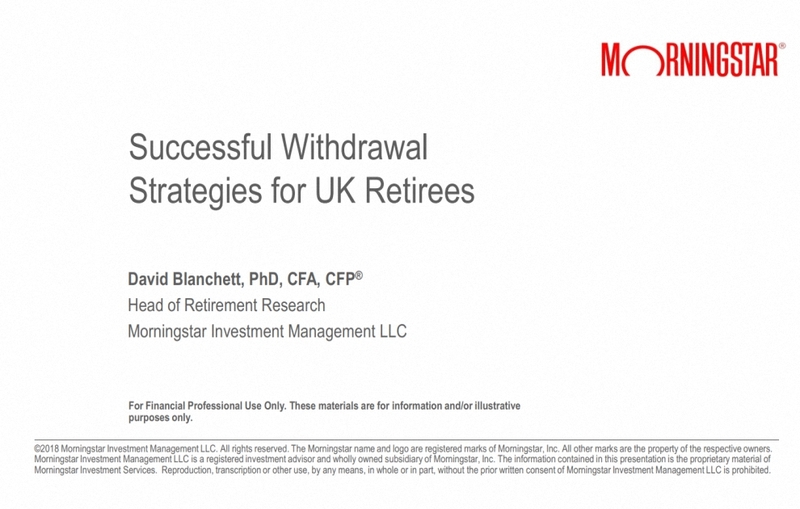 Abraham finished the session with a couple of charts showing the success rates for drawdown portfolios, depending on retirement period (in years) and withdrawal rate (from 3% to 6% pa). 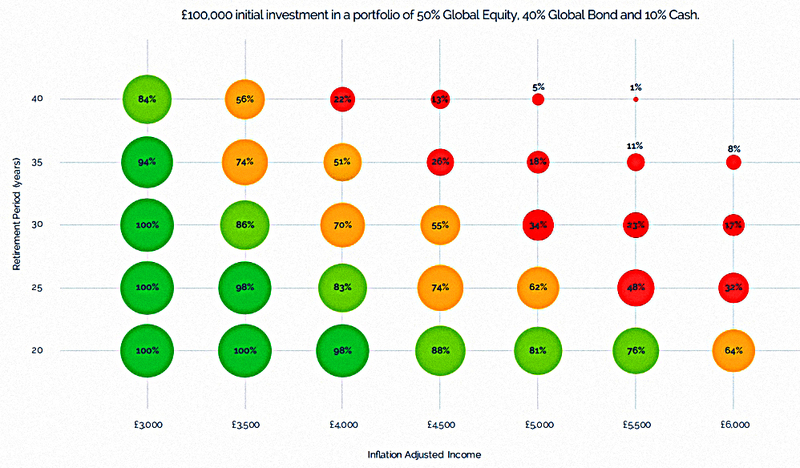 First up was the balanced portfolio – 50% global equity, 40% global bond and 10% cash. For the standard 30-year retirement, you don’t want to take out much more than 3% pa to be safe. 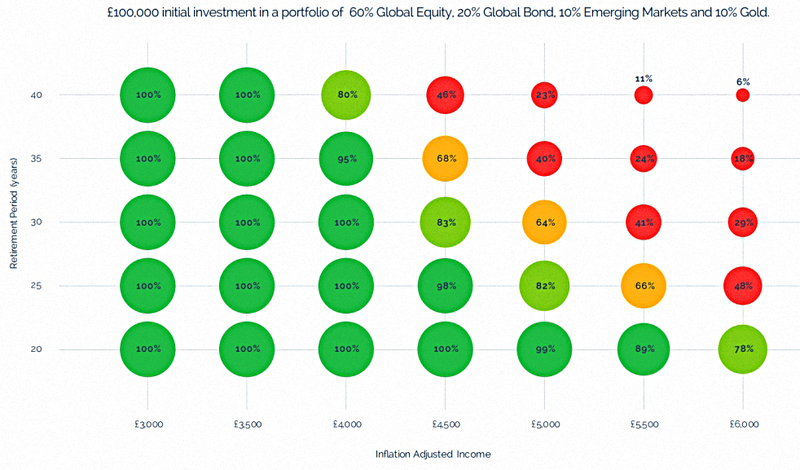 The alternative was the misnamed aggressive portfolio – 60% global equities, 10% EM equities, 20% bonds and 10% gold. This does much better, and you can safely withdraw 4% pa and expect your pot to last for 30 years. The final session of the morning was Abraham again. The session was called “Old wife’s fables” but really it was a walkthrough of the research Abraham has done for his book. For me this session was the highlight of the day, but it’s fairly data heavy, so once again it will be getting its own dedicated article. If the morning was the hard data part of the day, the afternoon was the chatty / touchy / feely part. 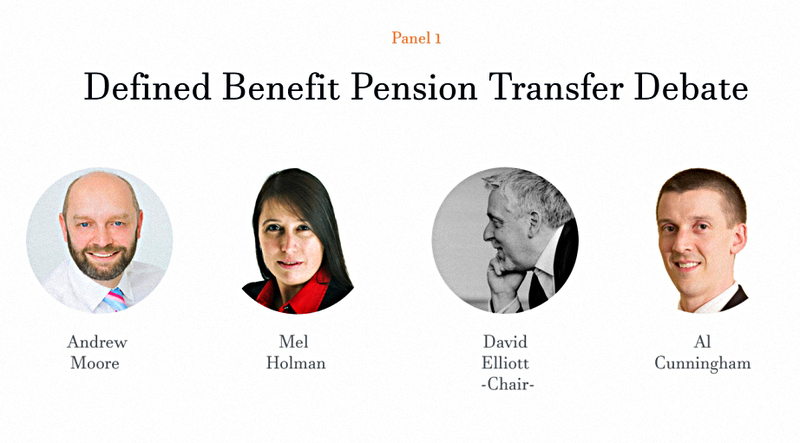 First up was a four-way panel on DB pension transfers, and whether they are a good thing or not. Or as Abraham’s blurb for the conference put it, are they “the biggest advice opportunity or the next scandal”? Recent work by the FCA suggests that only 47% of DB transfers are “suitable” for their beneficiaries. What factors indicate that a transfer is suitable or not? What are the common failings in transfers and how can they be addressed? How do planners ensure income is sustainable when recommending a transfer? At the end of the discussion we had an audience vote and the result was split down the middle – or as the chairman put it “fifty-two to forty-eight”. The panel was split, too, with a 2:1 majority in favour of transfers being a good thing, and a neutral chairman. I voted against transfers, mostly because the transfer values are much less generous than the mainstream financial media would have you believe. 20 to 25 times your annual payout is not enough reward for you to take on the risk of managing your own pension pot for 30 to 40 years. I’ve just been notified that one of my former employers wants to get rid of their DB pension liabilities. They were taken over by a US rival a couple of years ago, so this is not exactly a surprise. As part of the transfer of the scheme to an insurance company, my employer has arranged for an “enhanced transfer value offer” to be made. They will even pay for a review by an IFA to get around the ridiculous rule that all transfers require advice to be taken. But unless they offer me 35 to 40 times my annual payment, I’ll be sticking with DB. The second panel, chaired by Jason Butler, was about whether IFAs could still offer value to clients in the age of robo-advice. One of the guests was Anthony Morrow, who runs evestor. Will human advice remain relevant? 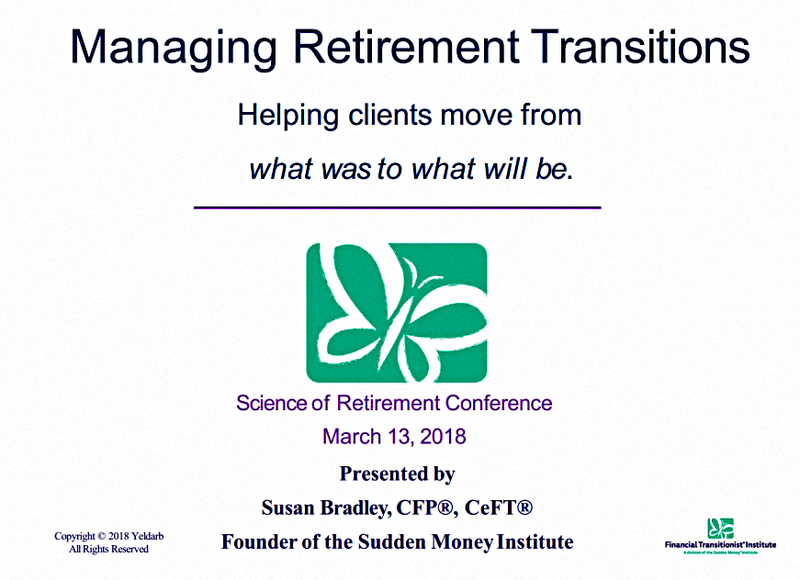 How will the role of advisors evolve? 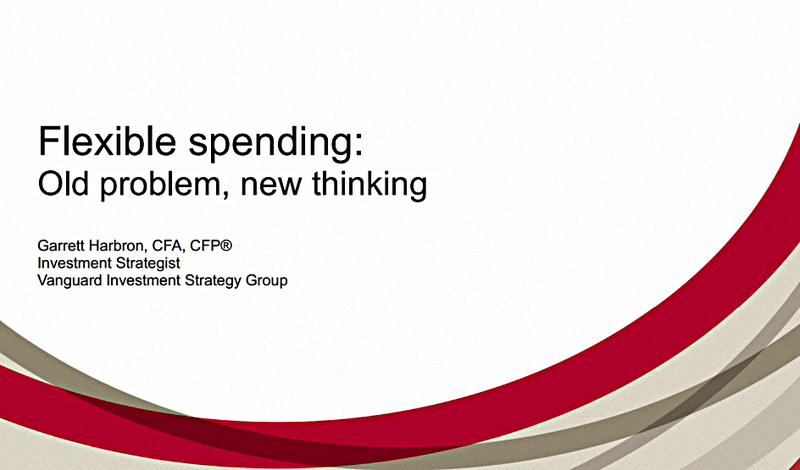 Will advisors leverage technology to become more efficient? This panel was less successful for me, as the assembled audience was 95% IFAs. 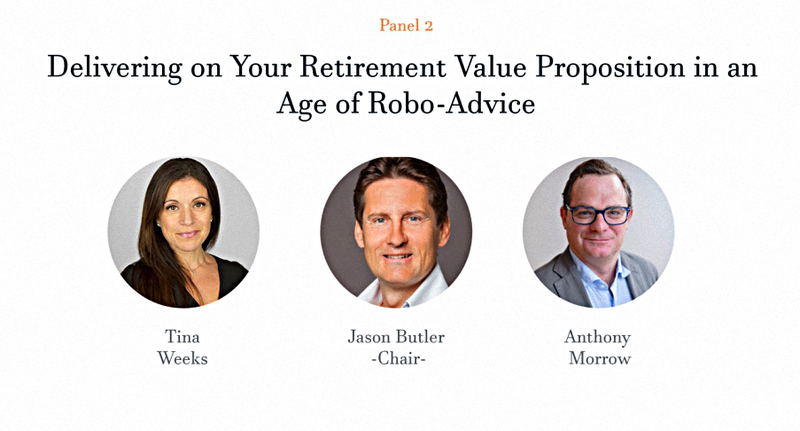 They have to believe that robo advisors will have no impact. 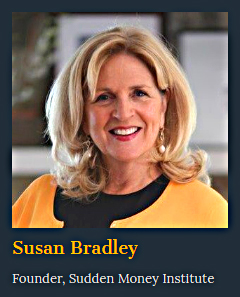 The penultimate session was from psychologist Susan Bradley and was about managing transitions in retirement. It was a very enjoyable presentation. 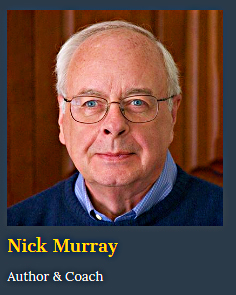 The final session of the day was Nick Murray. He’s something of a hero to IFAs as he’s written a lot of books aimed at their career development. 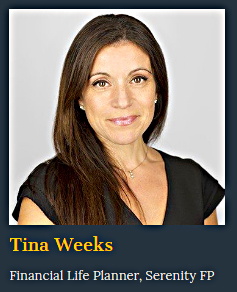 He has also produced a book that many IFAs hand to each of their clients – Simple Wealth, Inevitable Wealth. Unfortunately I was double booked for the evening, and had to dash off to a tech startup event. Nick didn’t use any slides, either – so I’ve no idea what he said. He believes in a 100% equity portfolio (split globally, with value, growth and small-cap tilts). He believed (?) in a 6% pa withdrawal rate (returns were higher when he wrote the book). He says to never let the tax tail wag the dog. 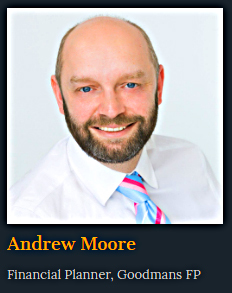 He believes that no-one can resist the temptation to sell in a downturn without the benefit of an IFA’s counsel (never ask a barber if you need a haircut). I don’t fully agree with any of those points, so perhaps it was best that I left Nick to preach to the converted. I saw some good reviews of his talk on Twitter, so he obviously did what was expected of him. And that’s it – we’ve briefly looked at all of the sessions from the day. It was one of the most interesting money conferences that I’ve ever attended, and I hope to go along again next year. I think the subject matter is important and under-represented. But Abraham is doing his best to address that. I’ll be back soon with individual articles on the three key sessions from the morning. And later in the year I’ll get hold of Abraham’s book and review it in detail. Today's post is a summary of the Chancellor's Spring Statement 2018.